Clamyboy74, crocography, JaredTheDragon and 3 others like this. It will only have meaning when RX 3080 can compete with RTX 2080, otherwise it will be debacle. There is a huge, ready market of people who would happily accept 2070 levels of performance for less than half the price of 2080 and AMD knows it, which is why they're going after them with these cards. A 2070 class card is perfectly adequate for resolutions up to 1440p, which is where 95% of the market is, and if nothing else a 2070 class card from AMD at $250-$300 will finally force Nvidia to reconsider its obscene prices. darkzelda, Reehahs, Evernessince and 11 others like this. So having the best product for the largest market is meaningless? Halo products like the 2080 are more meant to advertise the brand than make money. The RTX's biggest selling point is meaningless on lower end products because the performance isn't there. I could get 2 3080's, put them in crossfire and get 2080ti level performance for $500. darkzelda, Reehahs, Clamyboy74 and 2 others like this. Thank you for saying that. Unlike some, I'm not dropping <$500 for a new graphics card. However at $250, you'll have have me looking in the sofa and saving change. I've been waiting for 1440p card that won't break the bank and AMD is delivering it seems. Reehahs, Clamyboy74, crocography and 3 others like this. Agreed. I would think a lot of NVidia owners would be looking to switch: the top third of cards on the Steam survey last month were (in order) the 1060, 1050 Ti, 1050, and 1070. 10-15% better than 1080 performance for $250 is a steal; when you add in Freesync to the equation it makes it all the more tempting. If AMD can hit that performance/price target I'll be ditching my 1060 6GB for the RX 3080. Theinsanegamer, Reehahs and GreenNova343 like this. You do get that its about the price point and not the model number per se. But I do know that AMD needs to compete in the 1070 plus category but if they can steamroll (heh) Nvidia in others its good for us consumers. Too good to be true, I like AdoreTV but this one looks to outrageous to be real. All I can do is wait and Hope for the best, as I have the money waiting for the upgrade! Half the price, same performance? Keep dreaming! I`m hoping something like half the price, 65-70% performance to justify buying AMD at this point. Or you could look at it this way: superior performance for the same or lower price -- RX 3070 supposed to be comparable/slightly better than the GTX 1070, which is more powerful than the GTX 1060, but expected to be cheaper than the GTX 1060. 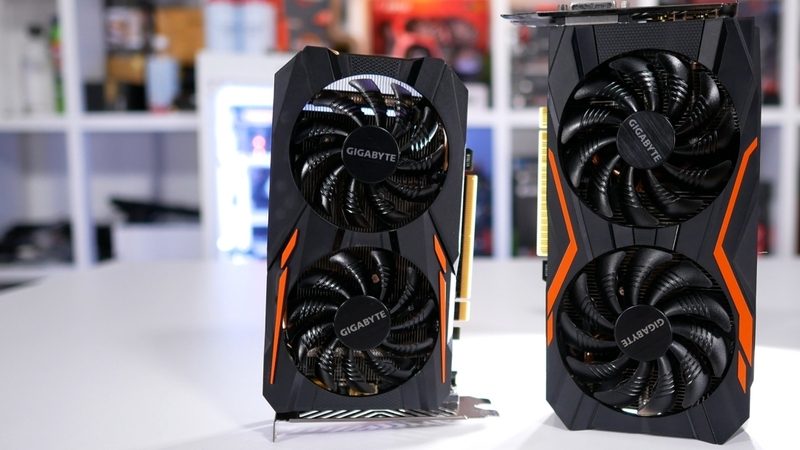 So, if you could pay the same price on new GPUs, would you really, really pick the less powerful one? It will be hillarious when, some years from now, people start confusing the RTX3080 with the RX3080. Reehahs, cliffordcooley, ShObiT and 2 others like this. Two things, AMD Navi will be built on 7nm, which means the die sizes will be much much smaller than the 12nm Nvidia RTX cards. 12nm TSMC is essentially the same as 16nm TSMC, only very slightly better. 7nm TSMC is A LOT better and a genuine leap. Secondly RTX Tensor cores take up a huge amount of die area. Assuming AMD had nothing like that planned for Navi, their chips can be of similar basic gaming performance, but comparably smaller than Nvidia's designs. Of course it depends on the cost of 7nm wafers for AMD, but still. These 7nm chips could easily be 1/2 the size of the RTX2000 series with comparable gaming performance, minus the effects the Tensor cores enable. For example if you halve Vega 64's die size on 7nm, increase the arch efficiency slightly with the Navi design, and bump the clocks you have a part maybe 250mm2.......faster than a GTX1080. Or if you like close to an RTX2070. RTX2070 has a die area of 445mm2. Reehahs, Evernessince and meric like this. Do you understand how die shrinks work? Theinsanegamer, Reehahs and CybaGirl like this. I should made myself clear that I meant that "renaming" strategy. If they are naming the product similarly to rival, it should stay in the same performance class. AMD's RX 3000 series naming, is to cut nVidia off at their toes... because how is nVidia (fall of 2019) going to release their RTX 3000 series..? It tosses a huge monkey wrench into their game. Plus, when someone goes to Best Buy, & see a 3070 and a 2070, they are going to opt for the 3070..
Don't be angry because you want one. Evernessince, ShObiT and dogofwars like this. Do people keep forgetting that devs still have to make the cards/drivers compatible for their games which has been a problem for AMD for years. So even if the cards are cheaper than nvidias which AMD have done several times before, it doesn't matter if no one is optimizing their games for them. We have seen all this before and AMD has yet to overcome nvidia, actually they have lost ground to them almost every single year now. The only hope AMD have right now is because nvidia have managed to mess up RTX with almost impossible claims. Maybe they get sorted out over time but most know that Ray Tracing is a far off dreamland that should have not been talked about for a number of years. More so when it comes to fast pace action shooters where you are more interested in kills or surviving than looking for visual enhancements. Single player is where RTX should have placed their focus and should have recommended that is where it's best experience would be at and not multiplayer. m3tavision, darkzelda and ShObiT like this. I think that's very valid point. Also let's not forget AMD didn't come up with a fresh generation of cards after RX 4XX series. RX 580 and 590 are not new, they are only kind of newer revisions of first generation polaris. AMD had years of time to build something good from scratch (a design probably began even before polaris). So with a fresh architectural design, 7 nm node advantages and much less wasted chips (beacuse of production advantages, if you watched Adored's video) it may be possible that AMD becomes competitive again. Personally I think power consumption will be the key for many users. Well I know it is for me as I live in the country that has highest electricity prices in the world! So when I look around for a video card I have to balance performance and power consumption. In saying that I just purchased a Colorful iGame GTX 1070 Vulcan X to replace my Galax GTX 970 Black EXOC and while I was shopping around the the lowest power consumption and the best possible performance was high on my priority list. I also think that with all this talk of cutting green house emissions and global warming (being true or not) this is something I think a lot of people consider while purchasing. I mean who wants to give all their money to greedy electricity companies if someone can purchase a product that offers cheaper running costs and still offers great performance. I think this is where Nvidia wins hands down at the moment. It wasn't a problem with my R9 290 back in the day. It offered great performance in a wide variety of games without any issue, for me at least. If these numbers are true, then the 3080 would be the long-awaited successor to that card from a value standpoint. Waiting for a successor to my 2x R9 290X too That time I will go with only one though.